Second day in Osaka, we decided to slow down our schedule to have more time to enjoy the sakura and our stay. 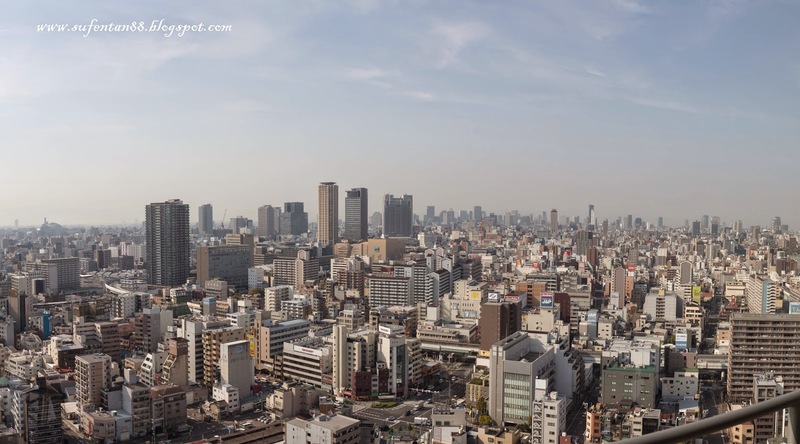 We visited two places- Osaka Tower and Tennoji area. Take JR line (JR Loop Line) from Osaka station to Osakajokoen Station, around 10 mins. 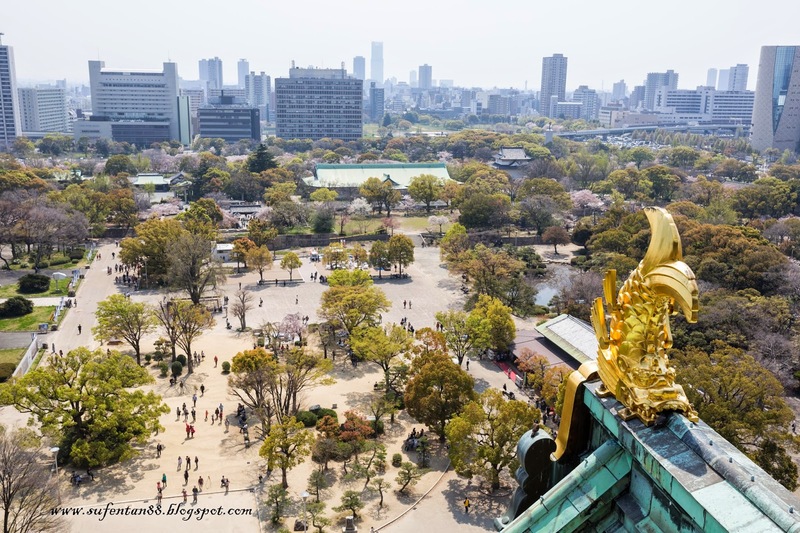 Before you get to the Osaka Castle, there is a park towards the castle, it is also one of Osaka's most popular hanami spot during the cherry blossom season which you shouldn't missed. 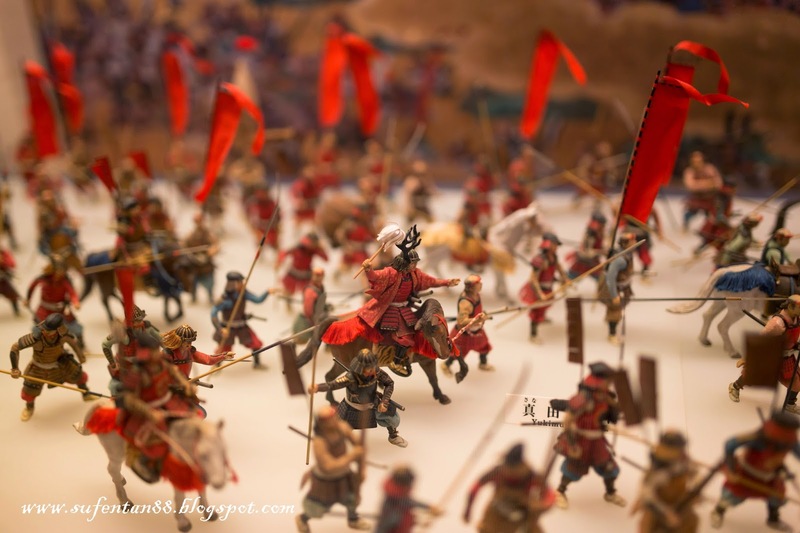 The entire Osaka Castle Park covers about two square kilometers with lots of green space, sport facilities, a multi-purpose arena (Osakajo Hall) and a shrine dedicated to Toyotomi Hideyoshi. The recommended approach to Osaka Castle is through Otemon Gate at the park's southwestern corner. 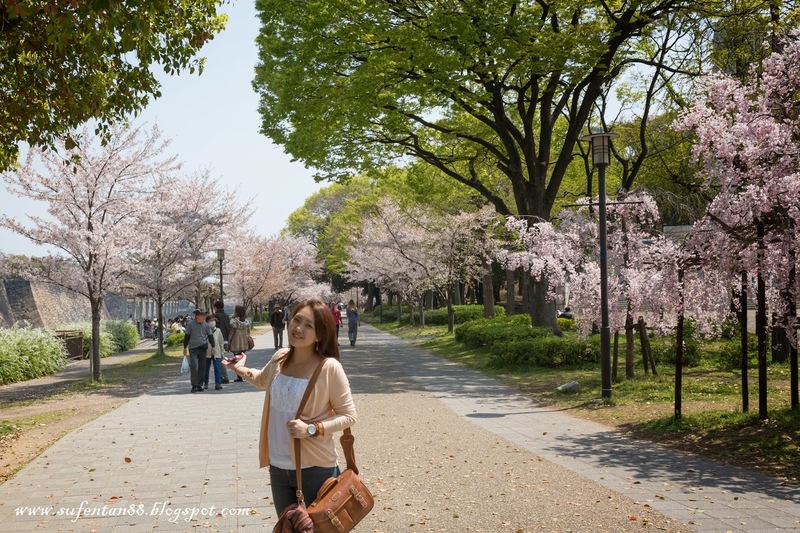 Beautiful Sakura in the park. Some Japanese even picnic in the park. He managed to capture this beautiful moment, this bird actually belongs to an old man. 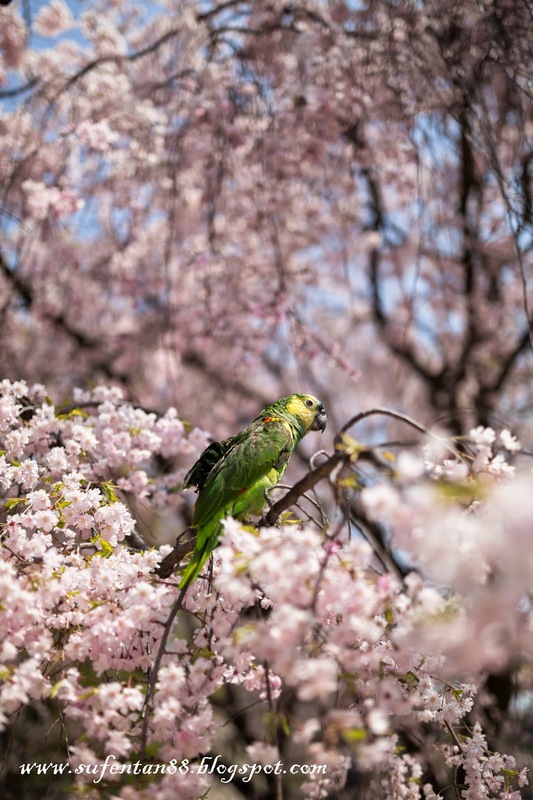 He brought his bird to the park to enjoy the sakura flower. Finally we have reached the Osaka Castle. You will need to walk around 5-10 mins from the park as the place is huge. 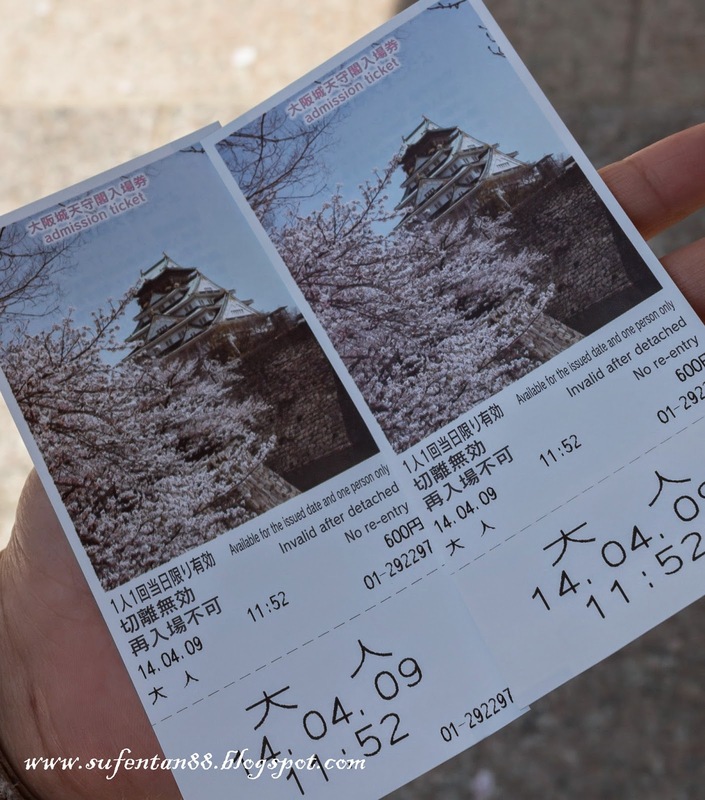 No entrance fee to enter the park, however you will need to pay 600 yen per person to enter the Castle. Next, we took the train to Shinsekai. 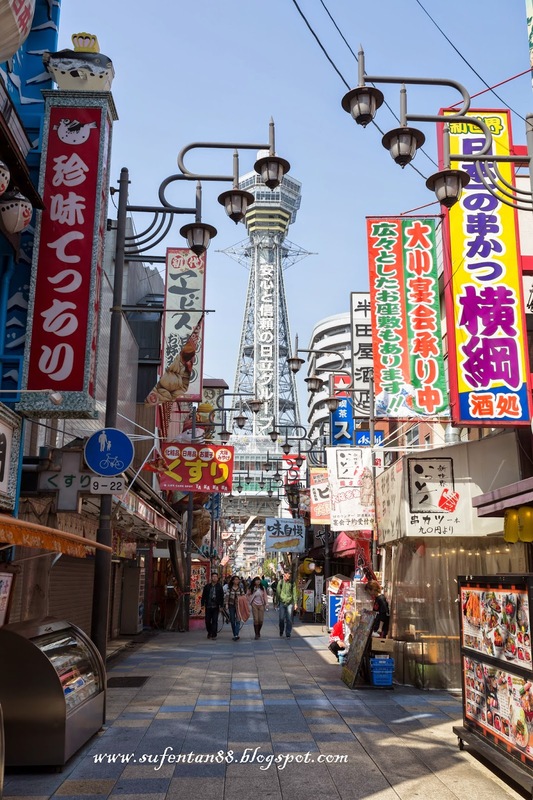 Shinsekai (新世界) also known as Osaka's "new world," a district that was developed before the war and then neglected in the decades afterwards. 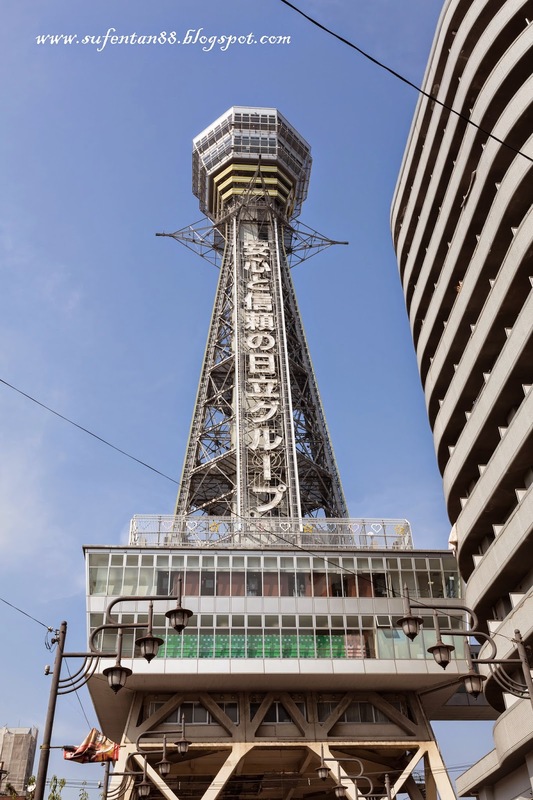 At the district's center stands Tsutenkaku Tower, the nostalgia evoking symbol of Shinsekai. 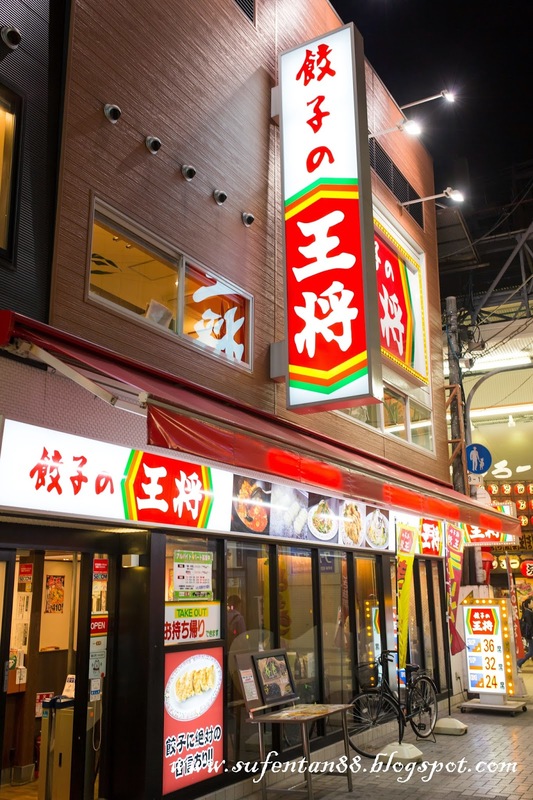 When you are in Shinsekai, one of their best known speciality dish is Kushikatsu that you must try. Use Tanimachi Subway Line to Ebisucho Station. Spotted this place while walking down an alley. Hardly can see any of this nowadays. 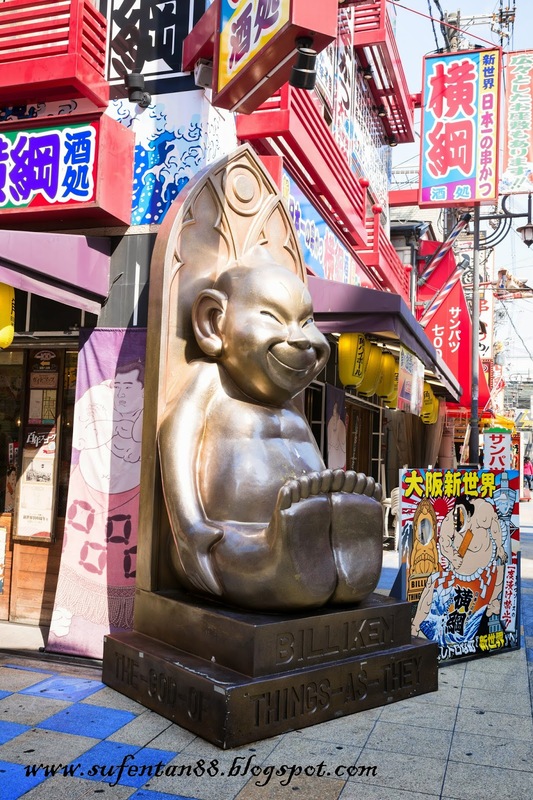 The famous Billiken, as known as "The God of Things As They Ought to Be". You can see the statues everywhere in Shinsekai. Hungry? What to have for lunch? 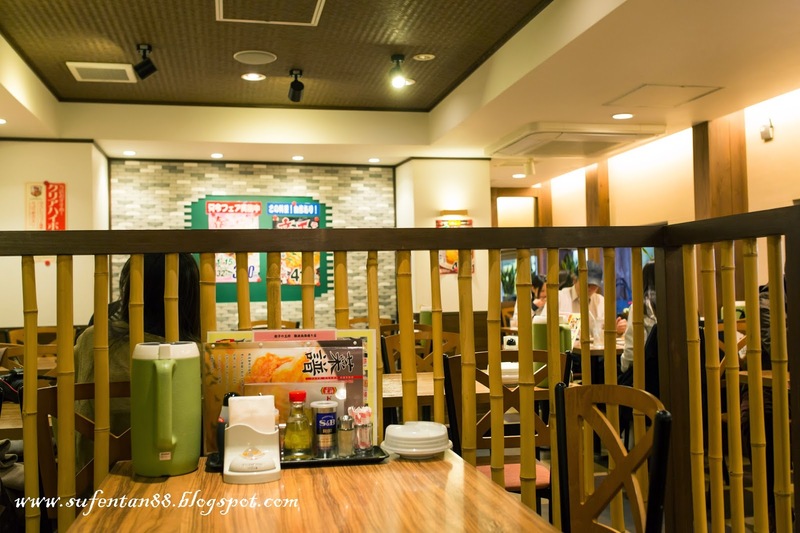 Of course the not to miss Kushikatsu! 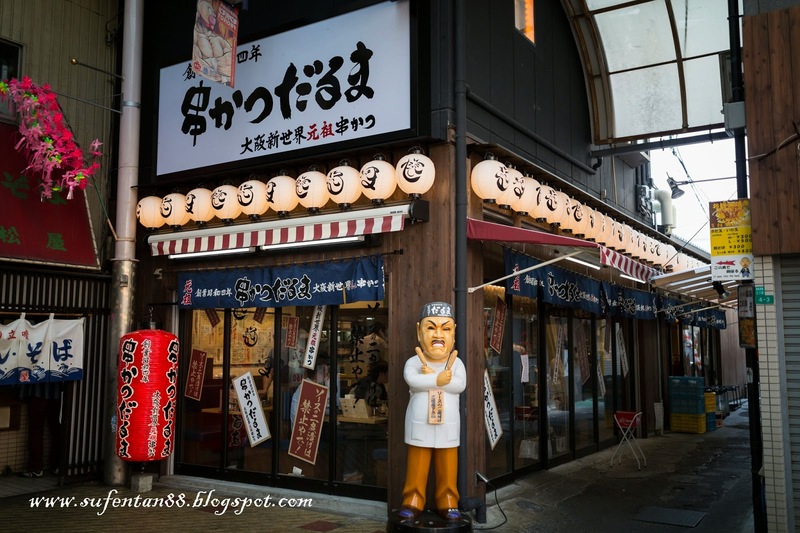 If not mistaken the English name of this shop is Daruma Kushikatsu, there is always a man statue holding Kushikatsu in front of the shop. This is their logo also mascot for the shop. 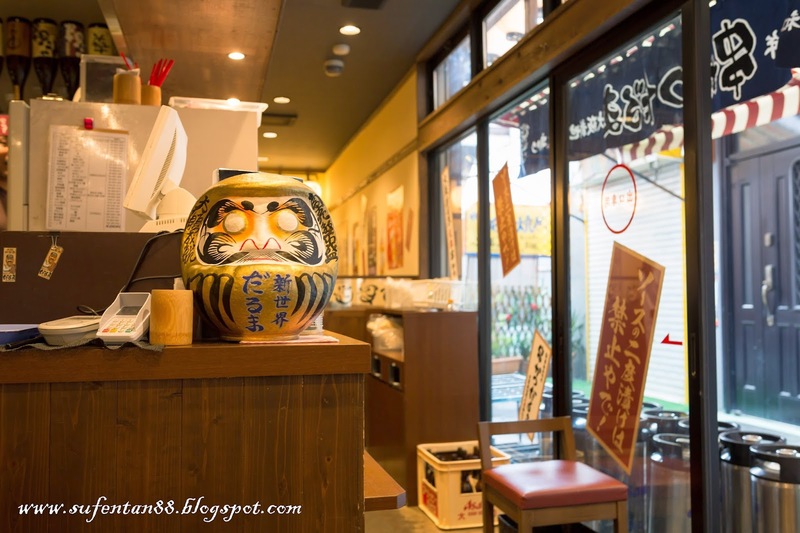 There are a few outlets in Japan where you can find easily other than in Shinsekai. Just for your information, Kushikatsu is actually deep-fried skewers of any ingredients from vegetables to mushrooms and meat. Simple layout and small area. We visit the place after lunch hour, so the place is quite empty. 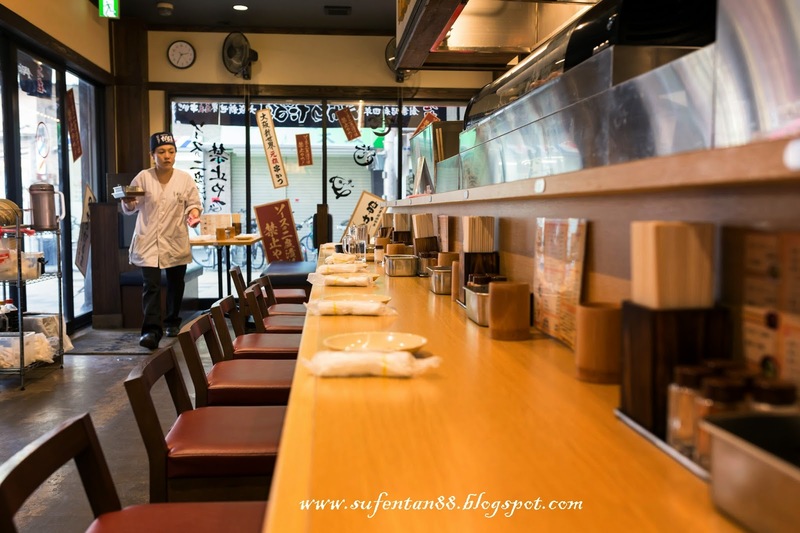 However, don't worry if you cant speak Japanese, some of the waitress actually speak Mandarin to us. 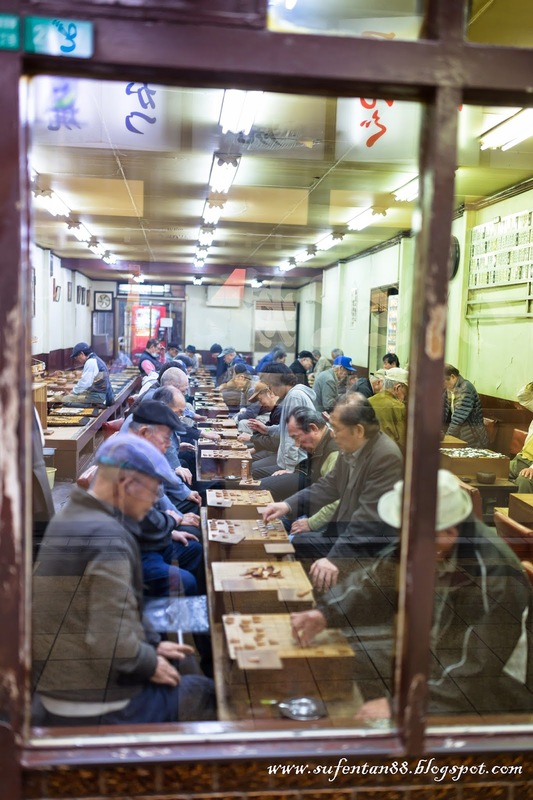 I think some of them either are from China or they learn Chinese to communicate with China tourists. 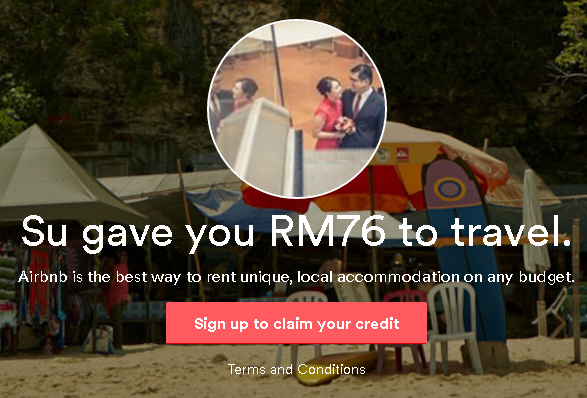 In the menu, you can picked either ala carte or set. 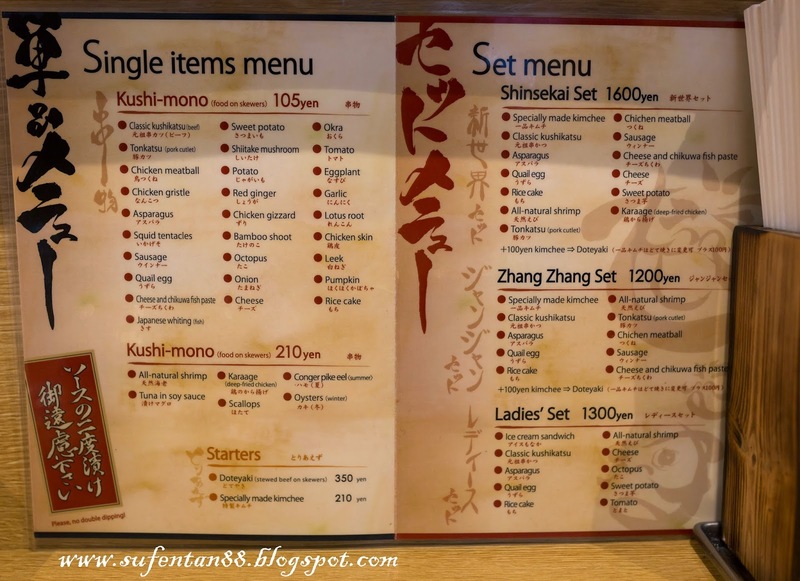 We ordered the Shinsekai set and added a few ala carte. 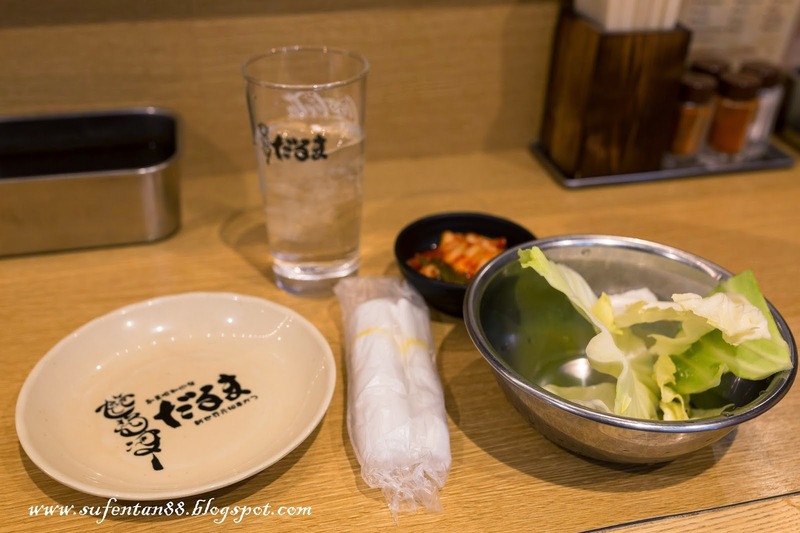 They will served you a bowl of raw cabbages and kimchi to go with Kushikatsu. A big bowl of sauce is also served at the table. 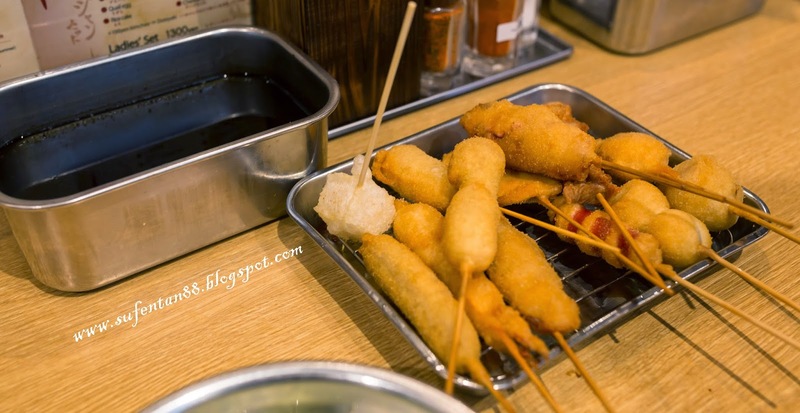 You will have to dip your Kushikatsu into the sauce before you bite. Please remember of the hygiene, no second dipping into the sauce after you have bite. I don't remember what have I ordered extra other than the set, but to be honest, no matter how many you eat, it won't fulfil your stomach. So, just eat for fun and not for your lunch! 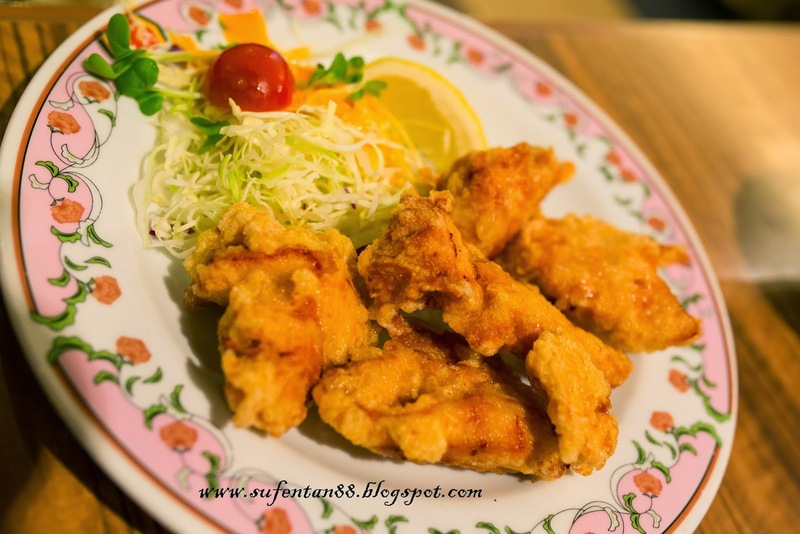 After awhile, you will feel bored on the taste because everything is deep fried using the same batter. After our lunch (a.k.a snack), we visit the Tsutenkaku Tower which is just walking distance from the restaurant. We just follow the tower and walk toward it without using any map. You will need to take a lift to underground to get to the top. The place actually look quite old and run down, you can actually google the story behind this tower that made it look like this today. You will need to pay an entrance fee of 700 yen. Their opening hour is from 9am to 9pm. 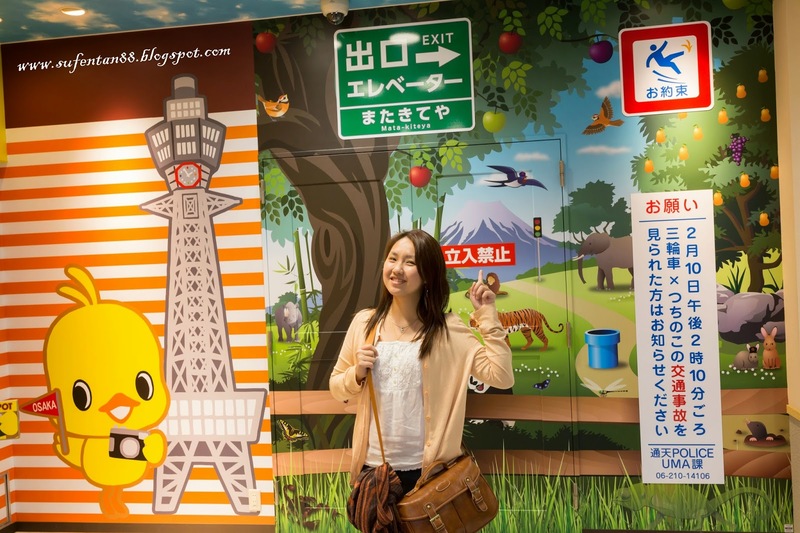 They actually display the history of Glico Group in the tower before you exit. 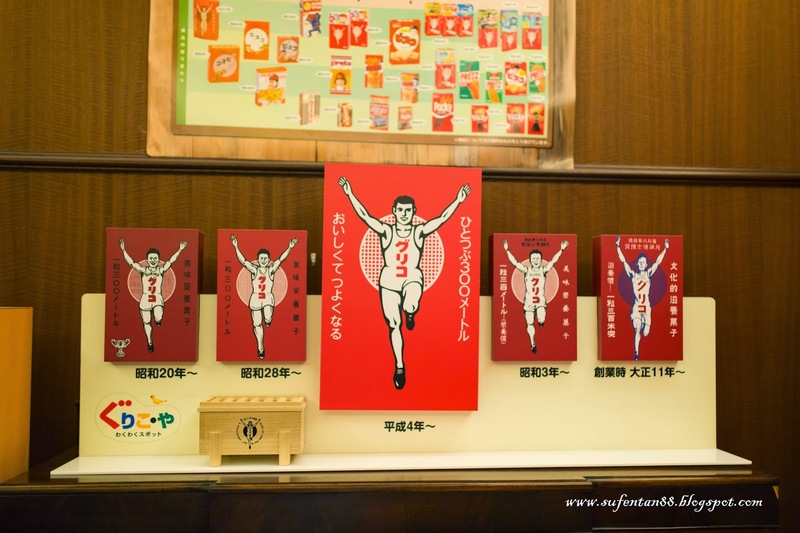 You can see the original packaging of Glico since 1922 until now. There is also a small shop in tower that selling limited edition Pocky and others Glico products that hardly can find outside. Although the price is a bit higher, but you can choose to buy just those limited edition products. 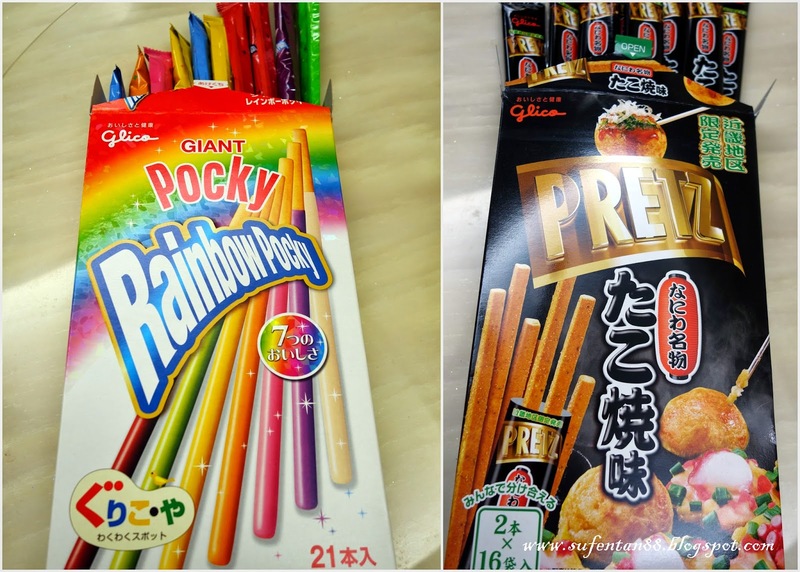 I actually bought the limited edition Giant Rainbow Pocky, Giant Pretz with Takoyaki flavour and Glico curry for cooking (forget to take the photo). I love the most is the curry, can't find Glico brand curry in Malaysia. I'm sure to get more when I'm back to Japan again. 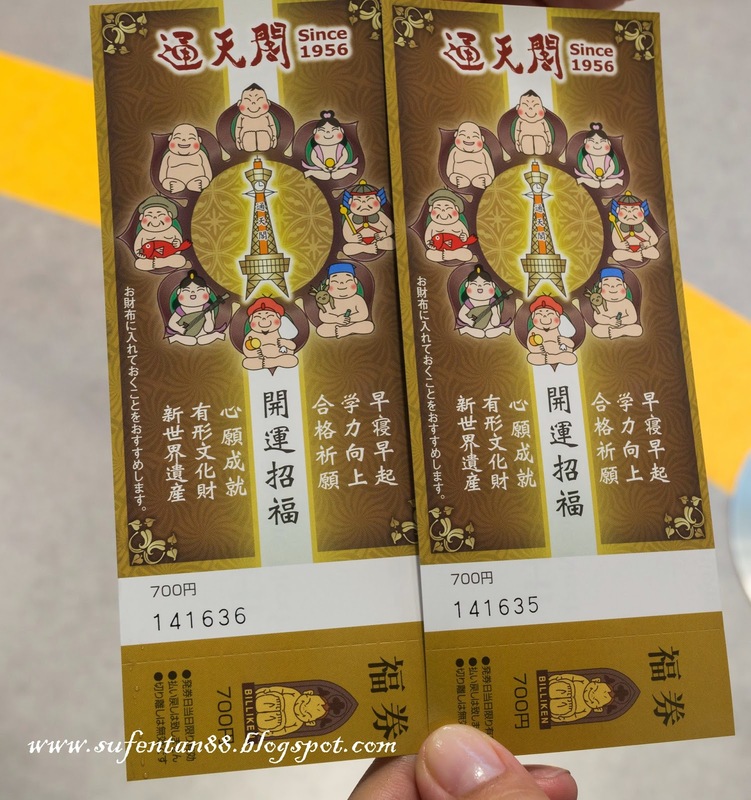 After the visit, we took the train back to Dontobori area for dinner. We were looking for something different today and found this Chinese restaurant in one of the alley. The super big and bright signboard captured our attention. We were given a seat at second floor since 1st floor is all full. Although we were given a small table, our orders eventually filled up the whole table as we were so hungry after the lunch (snack?). 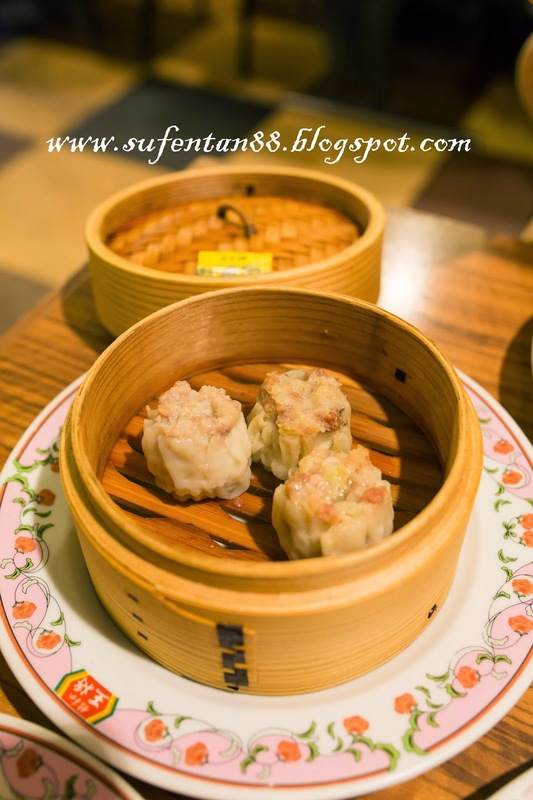 The overall food here is so-so but if you are craving for Chinese food, don't mind to give it a try. All tables will automatically come with a jug of cold water for free. 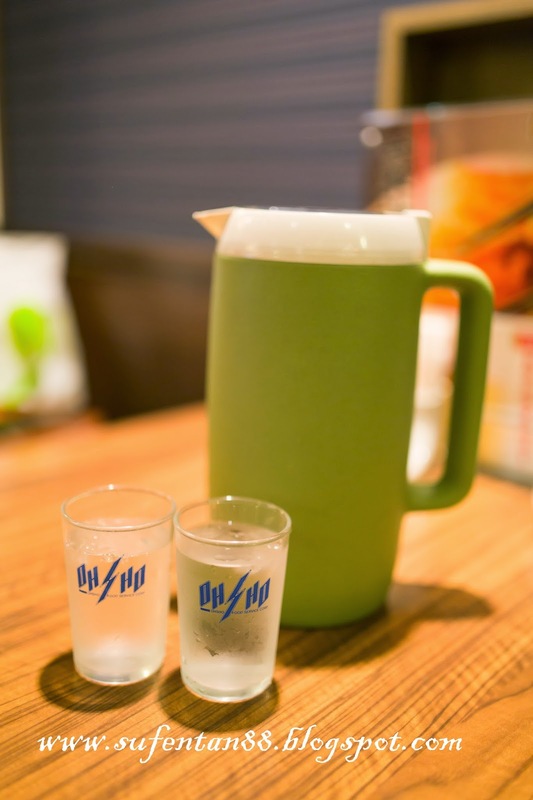 You can still order others drink if you like some green tea or hot drinks. Finally found the dim sum without glutinous rice! The fully meat dim sum, taste wise not bad. 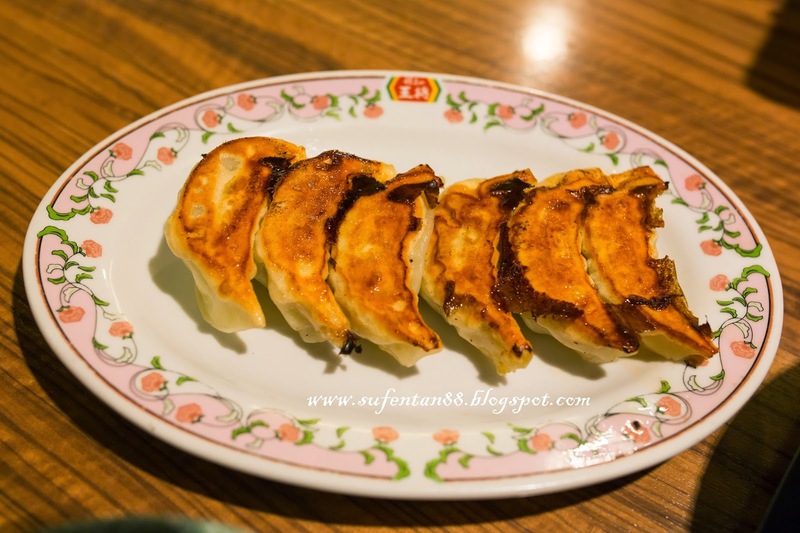 The gyoza is a bit oily but overall taste is still alright. 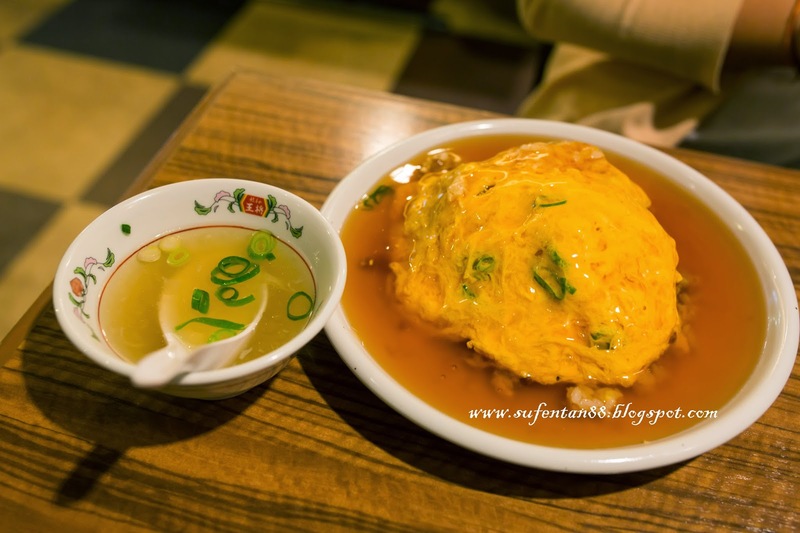 Don't expect it to be super delicious although we are in Japan. 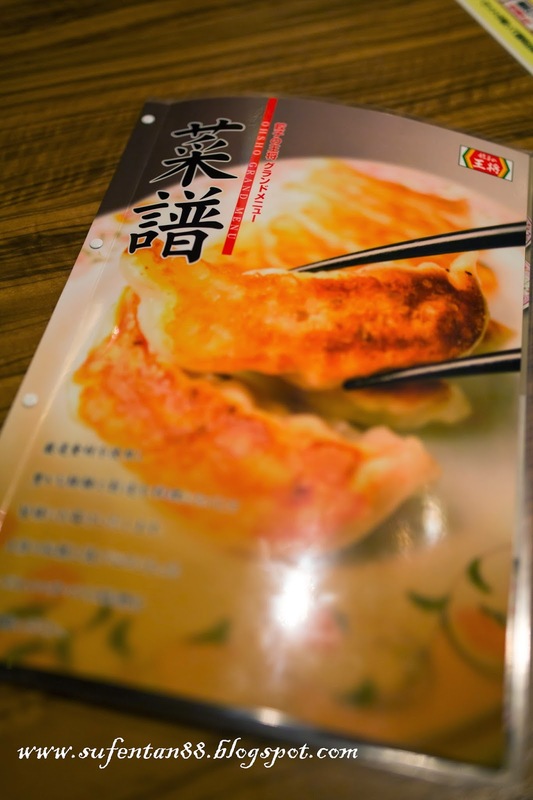 This gyoza is the Chinese style gyoza. I still prefer the Malaysian fried chicken, crispy and juicy! He sure very excited every time when mapo tauhu appears in a menu. He will sure ordered it! 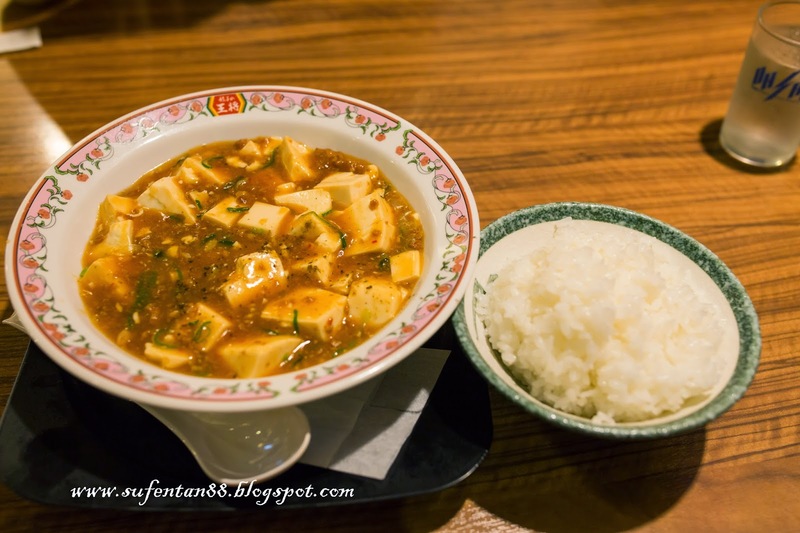 The best Mapo Tauhu we have was in Kyoto at one of the Chinese restaurant in Porta Dining. This one was quite disappointed, the sauce was very gummy and the taste was weird. Not sure is this really mapo tauhu. I ordered fried rice with fried egg but it came out to be one of our Chinese style "Man Fan". I actually quite like this dish because it contained all my favourite food- fried rice, egg and soup! Normally for "Man Fan", they always use white rice and cooked with seafood gravy to pour on it. But when it change to fried rice, the whole thing taste so prefect. While walking back to our hotel from the subway station, there are rows of shops at the underground. 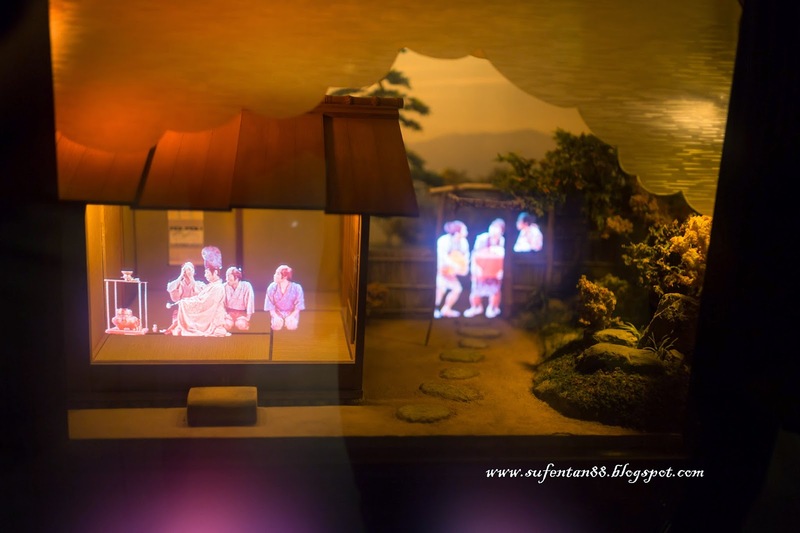 We spotted this Studio Ghibli Store with lots of Totoro merchandises and we were crazy with all of it. How I wish I can bring home everything. 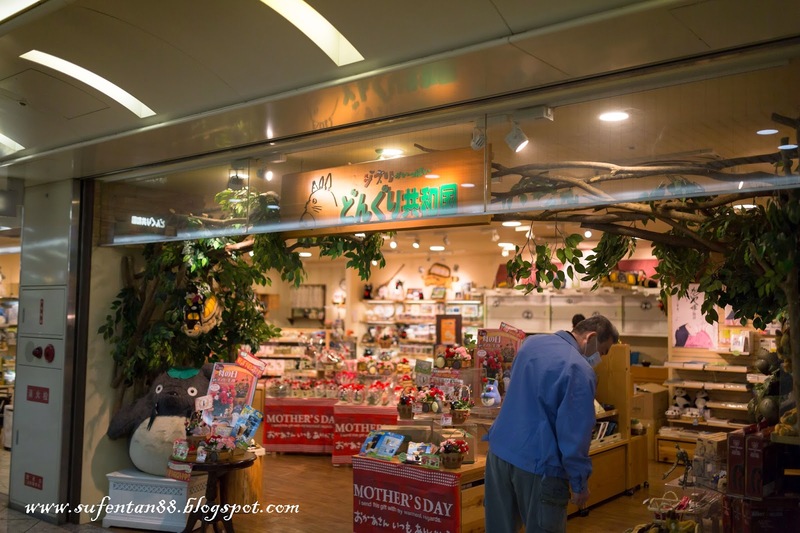 At the end, we bought only a set of the Totoro merchandise as souvenir since our luggages already quite full before arriving in Osaka.